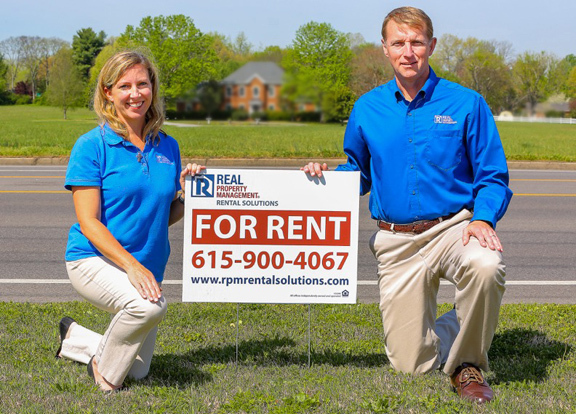 Welcome to Real Property Management Rental Solutions in Murfreesboro, TN! We are the leading Middle Tennessee residential property manager, covering Rutherford, Davidson, Williamson Counties and more! We specialize in managing rental property in Murfreesboro, Smyrna, La Vergne and Nashville areas with professional, reliable and courteous service. Real Property Management Rental Solutions is Murfreesboro property management at its best. We have 5-star reviews from both our rental property owners AND our tenants! We have a waiting list of tenants who only want to rent from us because their friends say we’re the best landlords. To learn how we can help you with your Middle Tennessee rental property investment, please call us anytime at 615-900-4067. Owning rental homes can be costly. The right property management company can make all the difference. Our goal at Real Property Management Rental Solutions is to protect your investment, minimize your costs, and maximize your income—without interrupting your daily life. Let RPM’s experienced Murfreesboro property managers care for your rental home. Our approach is simple. We provide professional, trustworthy full-service rental property management services, from tenant screening to leasing to maintenance to evictions. Whether you are an investor with several rental homes in Middle Tennessee or an unintentional landlord, we have your solution. With Real Property Management Rental Solutions, you can count on our local Middle Tennessee knowledge and expertise, supported by systems and processes developed over the past 25 years. Join the thousands of rental home owners and investors who trust Real Property Management across the country to manage their rental property. Whether you own one Murfreesboro rental home or several Middle Tennessee investment properties, our staff is prepared to meet the demands of property management, 24 hours a day. We know what works, what rents, and how to get more out of your rental property – all at a competitive price. Manchester • Almaville • Nolensville • Unionville • Triune • Wartrace • Leanna • McMinnville • Manchester and more! search our available rentals easily here.